The foundation of IT is the directory service. 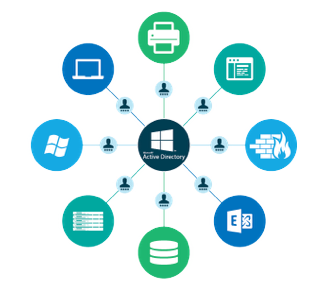 At the base of many an IT organization is the legacy directory service, Microsoft® Active Directory® (MAD or AD). Although it has been leveraged for several decades, we’re starting to see AD is losing its clout in the industry due to the increasing shift of IT resources to the cloud. Despite its trouble keeping up in modern, cloud-forward IT environments, AD is still the most widely used directory service on the market. So, why replace Active Directory, then? In their whitepaper, Stack Analysis, an independent analyst firm, looks into IT professionals who are replacing Active Directory with cloud directory services. Before we dive into the analyst report, however, it’s good to have an understanding of what Active Directory is, and it’s station in the IT world as a whole. Since its advent in the late 1990s, Microsoft Active Directory has been a dominant force in the directory services marketplace. When it was initially released, a majority of enterprises were based around the Windows® operating system, so, using a directory service that was also based around the OS just made sense. By having all of their IT needs under one Windows umbrella, IT admins could manage their user base with relative ease. AD could authorize user systems, as well as authenticate their access to other on-prem resources like networks, servers, and applications. Over time, the IT landscape shifted, however. Mac® and Linux® platforms increased in popularity. Applications and storage solutions that were once on-prem moved up to the cloud. Even the network itself shifted from wired to wireless. All the criteria that AD was designed for were going out of vogue. Seeing the growing void, vendors started to release patches such as identity bridges, privileged identity management services, and web-based single sign-on (SSO) solutions in the mid-2000s through the 2010s. At the time, these new tools acted as a sort of bridge between AD and all of the new resources being leveraged from the cloud to fill the gaps where Active Directory was lacking. Yet, while this add-on approach was effective at extending AD to a wider range of IT resources, they also created a variety of identity siloes that typically had to be managed on-top of managing AD on-prem–adding significant cost and complexity to management. The number of identity siloes continues to grow as more non-Windows IT resources emerge, both on-prem and in the cloud. In response to this, a new generation of directory services began to crop up to meet the new needs of IT admins: cloud directory services. Cloud directory services combine the benefits of AD and SSO solutions into one complete package. The best cloud directory services are third-party solutions, meaning they can be used regardless of system (Windows, Mac, or Linux), location (on-prem or cloud), or protocol (LDAP, SAML, or RADIUS). On top of that, cloud directory services are usually a per user priced option, offering a more straightforward cost based on the user, rather than the hurdles of implementing an SSO on top of an AD license. 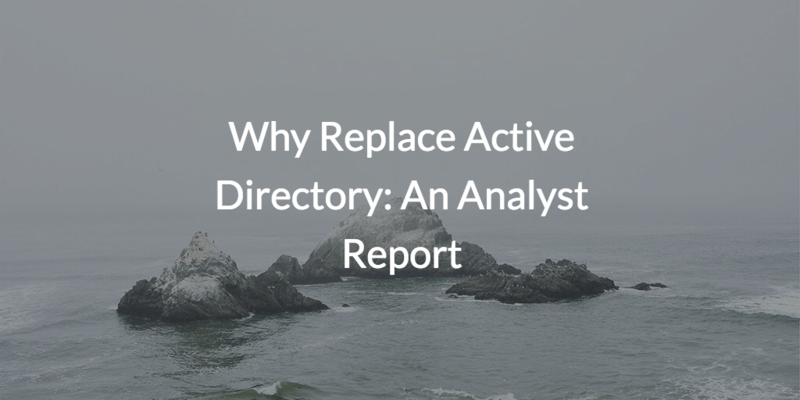 In their whitepaper, Stack Analysis, an independent analyst firm, looks into IT professionals who are replacing Active Directory with cloud directory services. Stack Analysis found that IT leaders are turning to cloud directory services to improve their organization’s control, security, and efficiency. In the modern IT era, traditional solutions like Active Directory just don’t cut it when compared to more innovative and effective approaches. Specifically, Stack Analysis’s report recommends JumpCloud® Directory-as-a-Service® as a cloud directory for replacing Active Directory. For heterogeneous organizations leveraging a wide variety of applications and resources, Directory-as-a-Service is a scalable and hyper-secure option to consider. By leveraging the SAML, LDAP, and RADIUS protocols, as well as platform agnostic endpoint management, JumpCloud creates a True Single Sign-on™ experience for admins and users alike. With JumpCloud Directory-as-a-Service, life is made easier for businesses; JumpCloud Makes Work Happen™. To see how you can replace Active Directory with Directory-as-a-Service, contact us to learn more or schedule a demo of the JumpCloud platform. As always, consider signing up for JumpCloud as well. With ten users for free forever, you can get started with the product for yourself to see it in action. You can also learn more on our YouTube channel.